Thank you for this useful overview. I've been trying to have my services (academic copy editing) listed on several publishers' websites (including Wiley and Sage). However, it seems impossible to find the correct contact person at the publisher's end. Do you have any hints? Hi Merrie - My instinct would be to approach the journals production department in the first instance. I'm waiting to hear back from SAGE on this point and will share any further relevant information as soon as I have it. A lot of the same agencies pop up again and again, but they may be willing to share some contact details. No harm in trying, I would have thought! Thank you so much for the useful pointers! I may indeed contact some of the other agencies -- those that do not specialize in my areas! I wonder if working for this kind of agency really does help to level the playing field for those authors whose native language is not English. I am employed by a university institute and the university pays me to help researchers prepare papers and books for publication. Many of them, especially those from poorer countries, could not afford an editing service. Thanks for your comment, Susan. 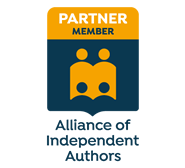 If you click on the link at the bottom of Anna's post to a Roundup I produced of publishers that list editing agencies, you'll see something called AuthorAid. This aims to redress the balance somewhat. However, your overall point is well made and applies well beyond the realm of academic editing. People living in lower income nations face such barriers in nearly all walks of life. I doubt there's any such thing a true level playing field. Good to know there is support out there for those who need it most. I'm not saying that it makes the playing field level - that would be naive - but it is a step forward. For quite a while, I managed to convince myself that "academic editor" and "language editor" were terms that I'd invented to explain what I do (the number of people in this field in my locale is small), so coming across this article is a real relief! Silly, I know, but there it is. Thank you! I am new to science proofreading and editing. Recently, I have been been given to do a test which is 11 pages long and appears to be a complete article, not an extract. Is it quite normal to expect a size of a trial proofreading as big as that? From my previous experience the test did not exceed 200-500 words. Hi Olga - I've seen tests that range from one or two pages to 40 pages. It really depends on the publisher's policy as to what they will require. You might like to check whether the test article you have been sent has already been published (search in Google). That way you can be sure it is a test and not a way of extracting a free proofread! If the agency or publisher is reputable I see no reason to be concerned. Only you can make the decision of whether to proceed with a test that you feel is unacceptably long. Bear in mind that the reason they may have sent you a full article is so that they can evaluate your competence to deal with a range of different elements (title, author, author's affiliation, headings, references, footnotes, paragraph styles, etc.) and ensure these comply with house style. I was asked to apply for work with one of the larger UK-based academic journal paper 'language polishing' (their words!) agencies and they wanted me to do 5 pages of an 11 page article as a test, to be reviewed by their QC editor. I requested to give them a paper I had already edited for review instead. They accepted this and I now do the odd bit of work for them on reasonable pay and terms; they are quite nice really. I've had discussions with some other agencies and not got such a nice vibe from them - I'd always say go with your gut feeling. I can provide further details by email on request. I was very interested to read this blog. Proof reading of science journals was suggested as a possible suitable job for me by a lecturer at university. I am currently an undergraduate in my final year studying Human Biology. I am disabled and because of this I am looking for a part time job where I could work mainly from home. Is it possible to work as a proof reader from home? Also how does someone get into proofreading without any previous editing experience? I would be very grateful for any advice. Hi Louise. Check the Training archive of this blog, and the SfEP and Publishing Training Centre websites for guidance on proofreading courses. For guidance on setting up a proofreading business, see my books (in the tab Books and Guides) and the Starting Out and Marketing archives on this blog.